How long did you work on SAVING MONTGOMERY SOLE? I worked on SMS for a little more than two years, which is a long time to work on a book when you've just come off working on Graphic Novels (where the writing portion is considerably lighter). A lot of the writing of this book involved working with my amazing editors Connie Hsu and Lynne Missen, who have been my voices of reason and my rocks throughout this process. I am an almost full time writer now, so my schedule varies wildly. I tend to work at home and at a series of coffee shops where the vibe is good and there's AC outlets a plenty. I usually create a few mixes that suit the varying moods of what I'm writing, although I can only really listen to them in the later writing stages because otherwise it's distracting. I also spend a considerable amount of time outlining a book on paper before I start writing, which I find helps me clarify things before I get into the woods. Lastly I highly recommend talking to yourself as a way to hash out book stuff. I do it all the time. I think if more people did it it would make me seem less weird. 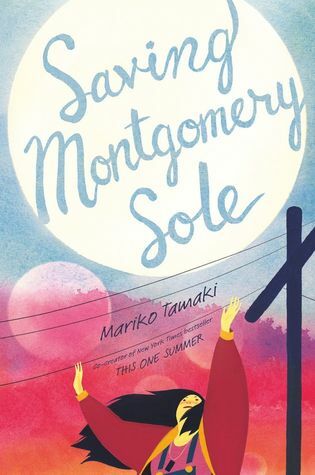 Have you had a chance to read SAVING MONTGOMERY SOLE yet? Do you outline a book on paper first? Do you talk to yourself to hash out book stuff? Share your thoughts about the interview in the comments!